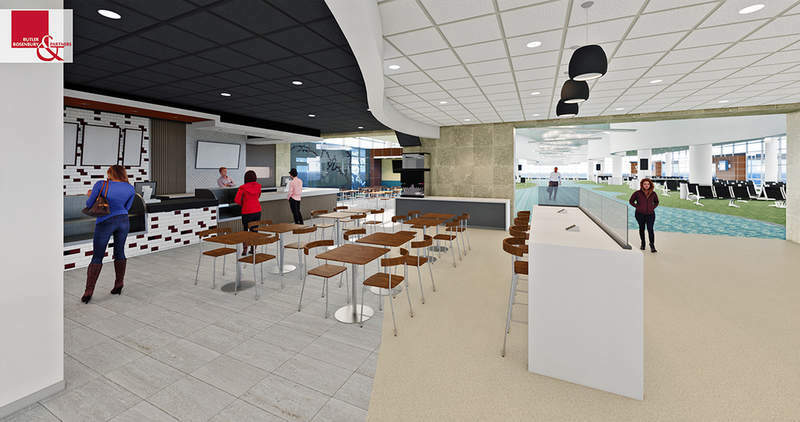 Conceptual rendering of the expanded restaurant. Credit: Springfield-Branson National Airport. Springfield-Branson National Airport in the US has unveiled plans to upgrade a number of facilities at the airport intending to improve customer service. The planned improvements include expansion and remodelling of the restaurant in the gate area, new charging stations, and an upgrade of the free Wi-Fi. The upgrade will start in mid-January with an expected cost of $750,000. Springfield-Branson National Airport director Brian Weile said: “These improvements are driven by passenger growth. The restaurant will expand by more than 50% to facilitate the growing number of passengers. The airport’s internet access will be upgraded with free Wi-Fi. The airport’s eight charging stations will be expanded to 80, with dedicated work desks. Springfield-Branson National Airport marketing director Kent Boyd said: “The last Wi-Fi upgrade was five years ago and sometimes it struggles to keep up. It seems like every customer in the terminal has a wireless device, be it phone, tablet, or computer.